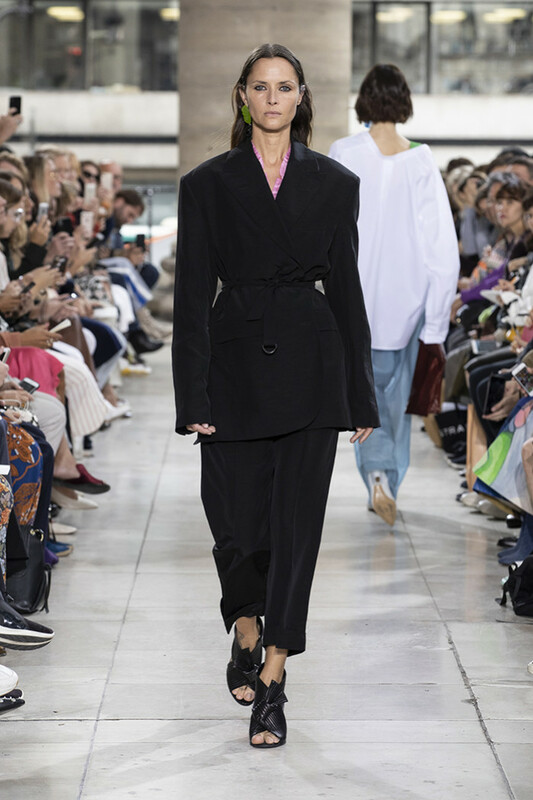 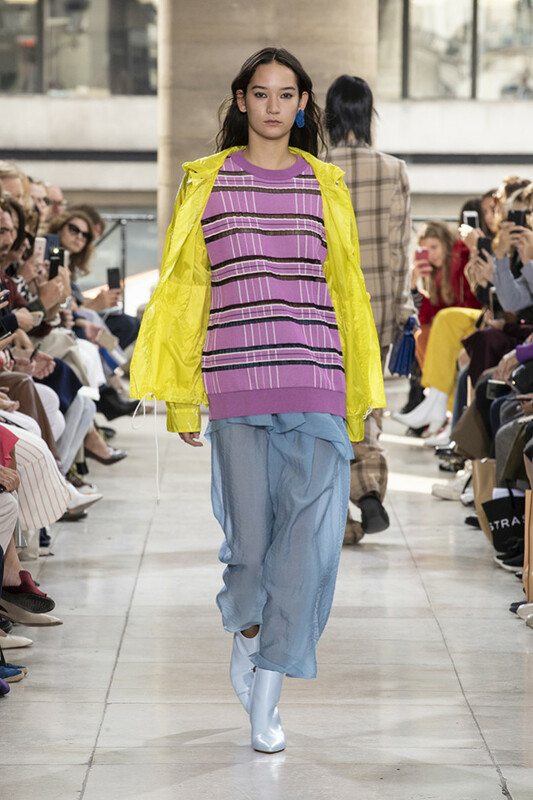 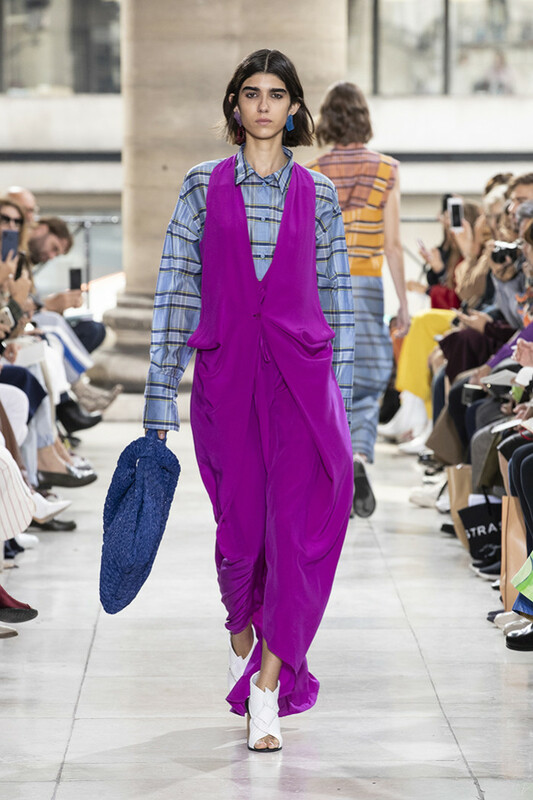 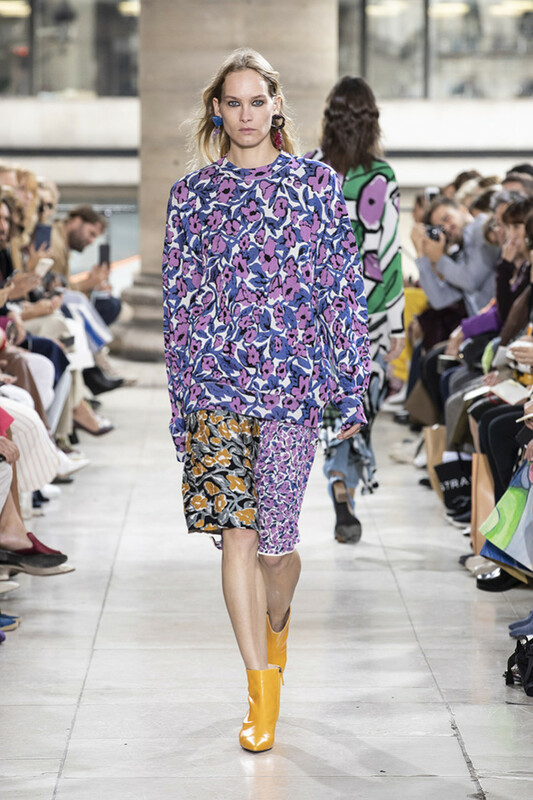 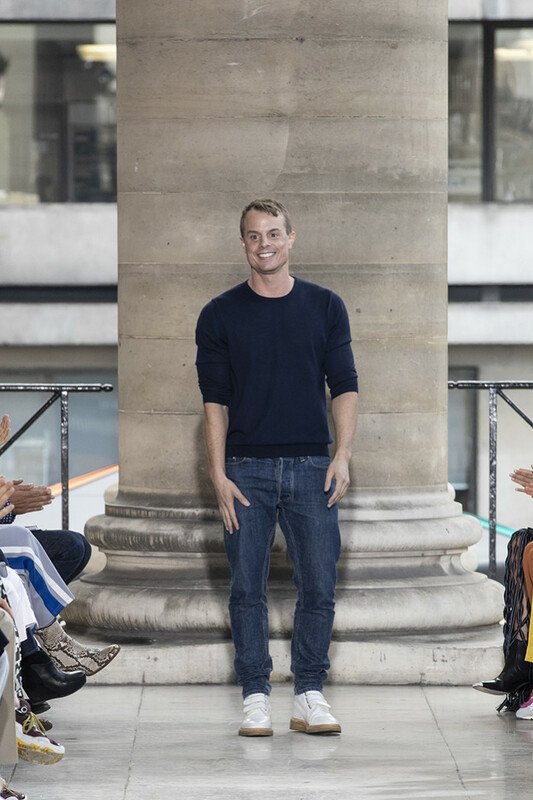 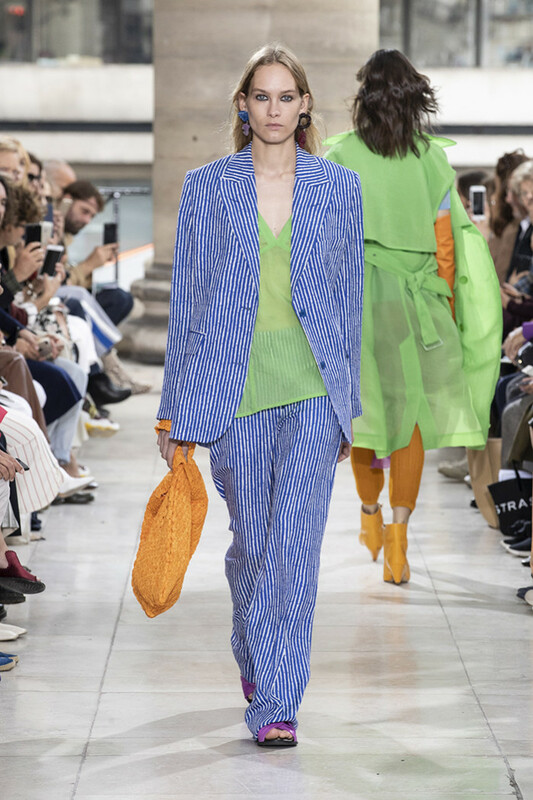 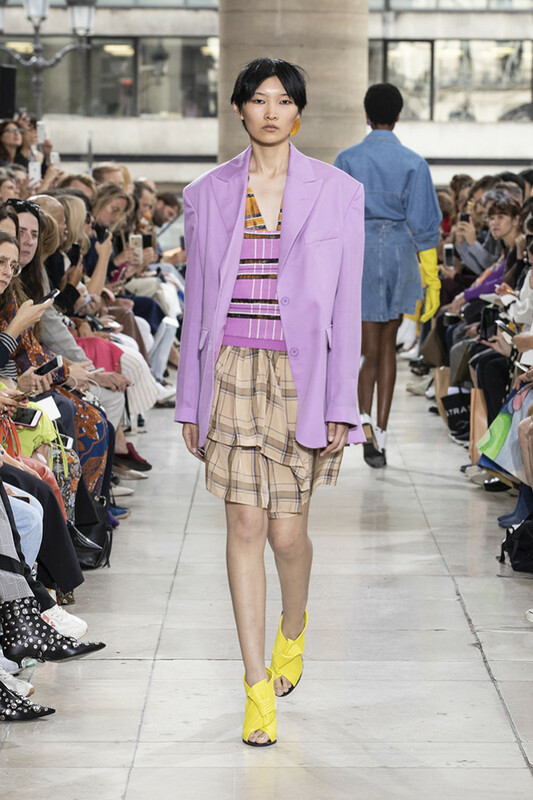 Christian Wijnants, born in Brussels, but raised in Antwerp, Belgium, showcased his SS19 collection at Paris Fashion Week and invited the audience on a journey to Middle and Far East. 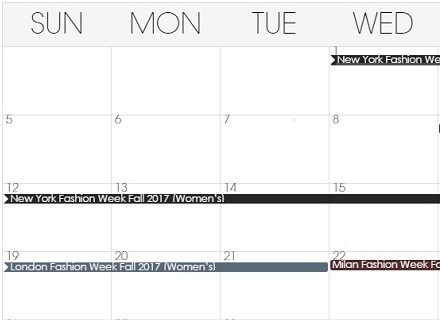 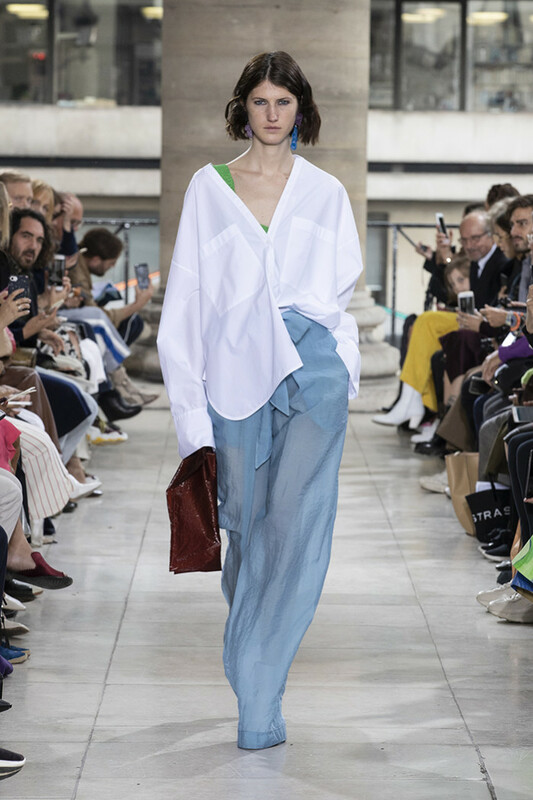 Under the first oversized plain-white blouse, a green singlet unobtrusively but intentionally flashed, a messenger to announce the colorful collection that was about to come. 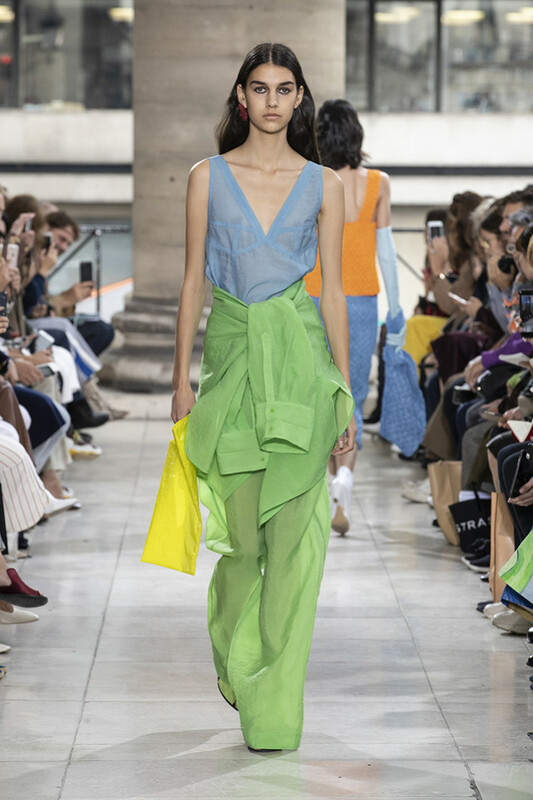 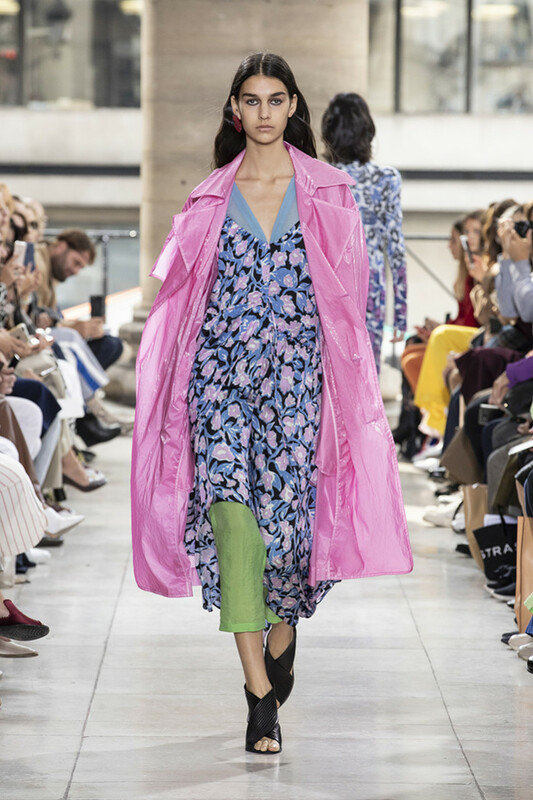 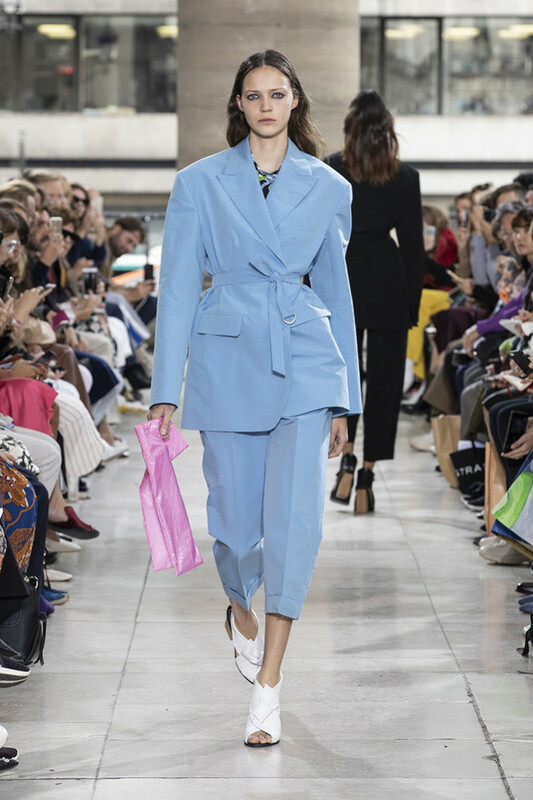 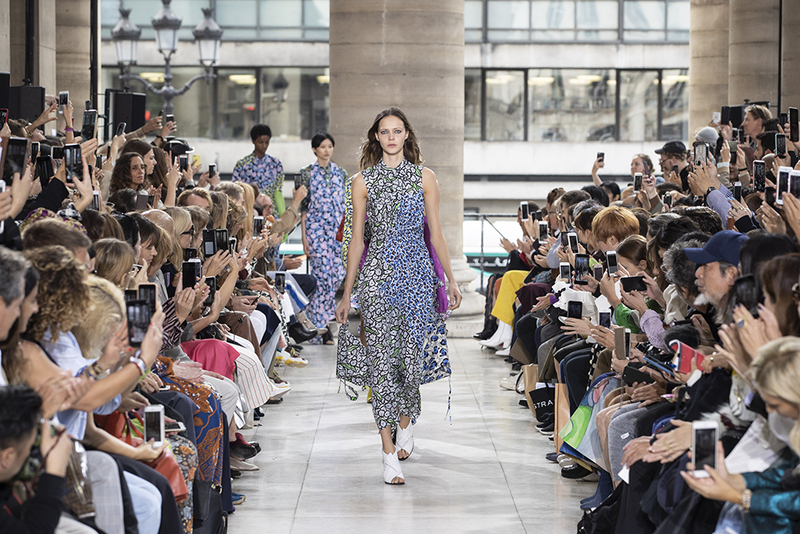 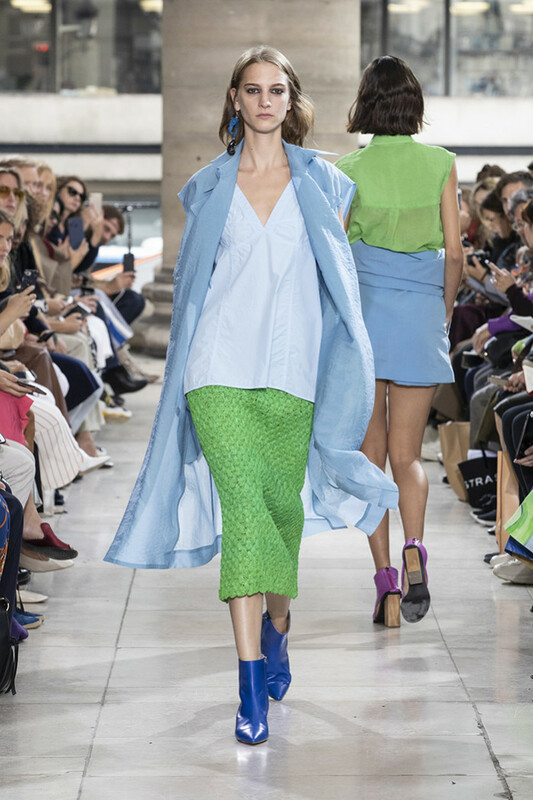 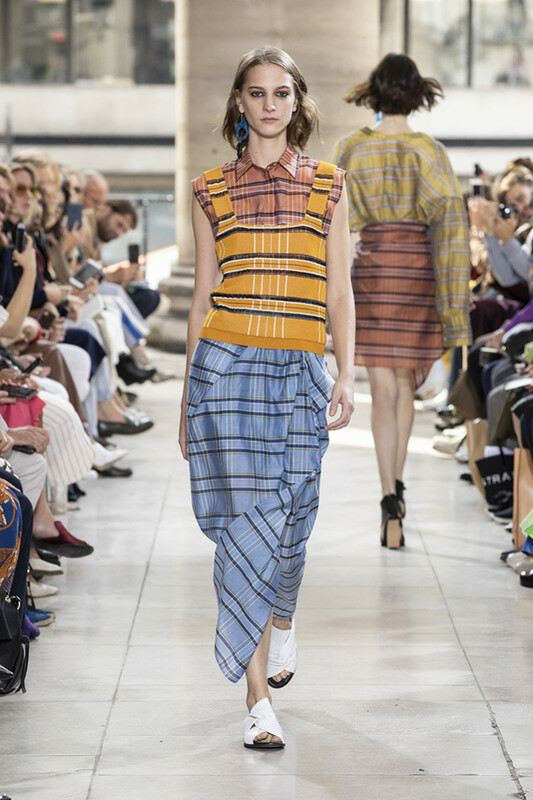 Underlaid with a oriental flute, lots of blue and fresh light-green skirts and blouses set the tone during the first third of the show. 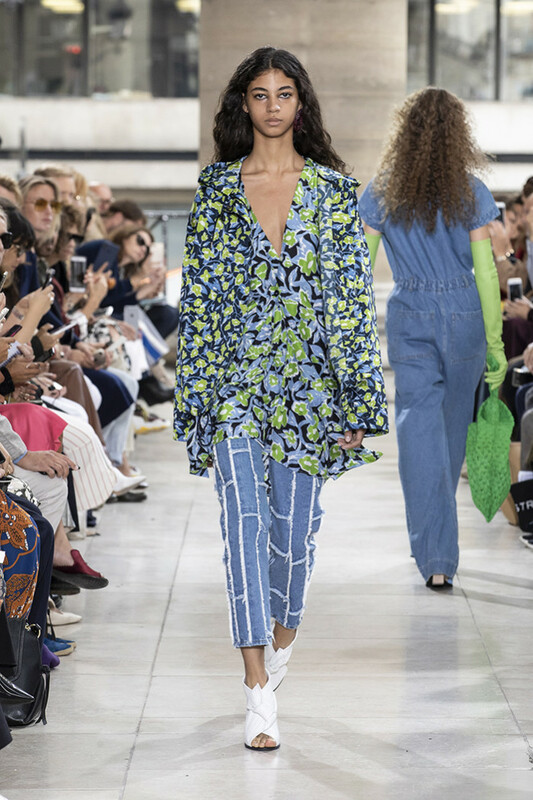 Look number four elicited a “wow” from me: a slightly blue bermuda, wrapped in a same-colored jacket, a light green, sleeveless chiffon blouse and pink, toe-free sandals worked in perfectly coordinated ways despite the variety of colors. 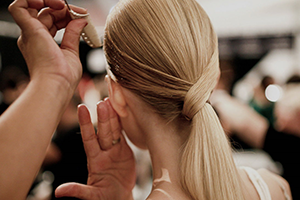 Fresh, clean, modern, that’s the way I like it. 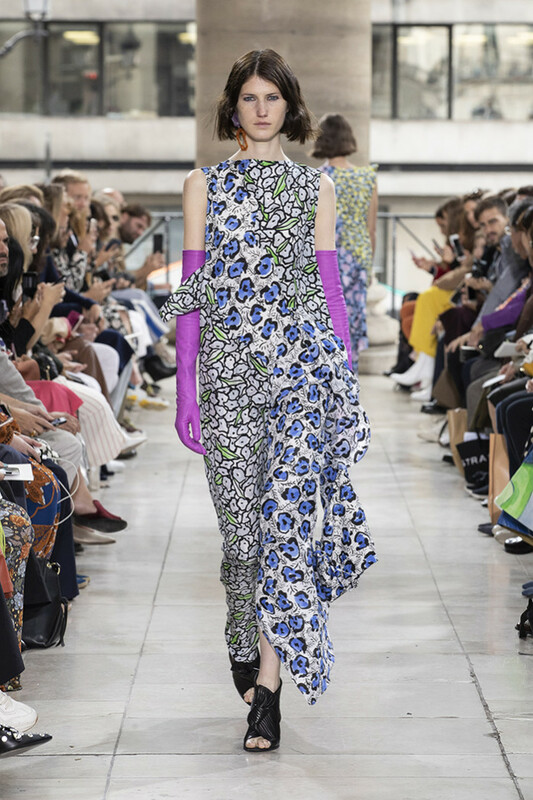 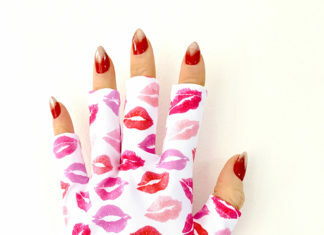 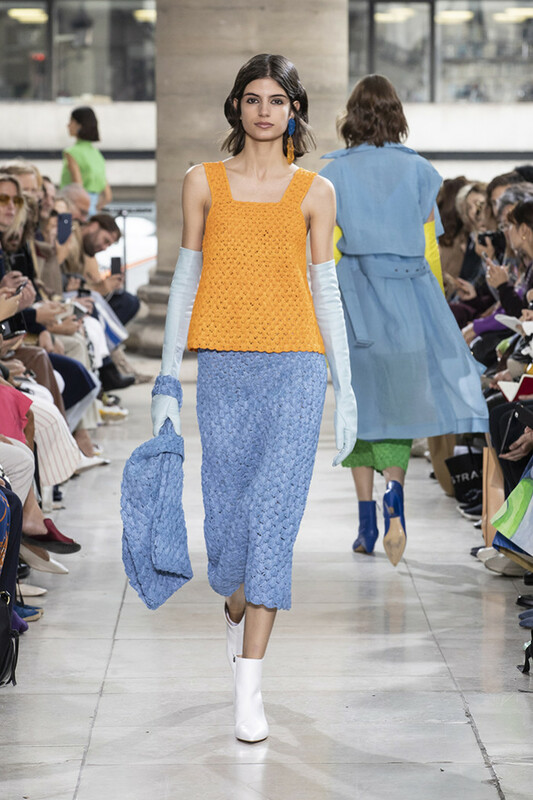 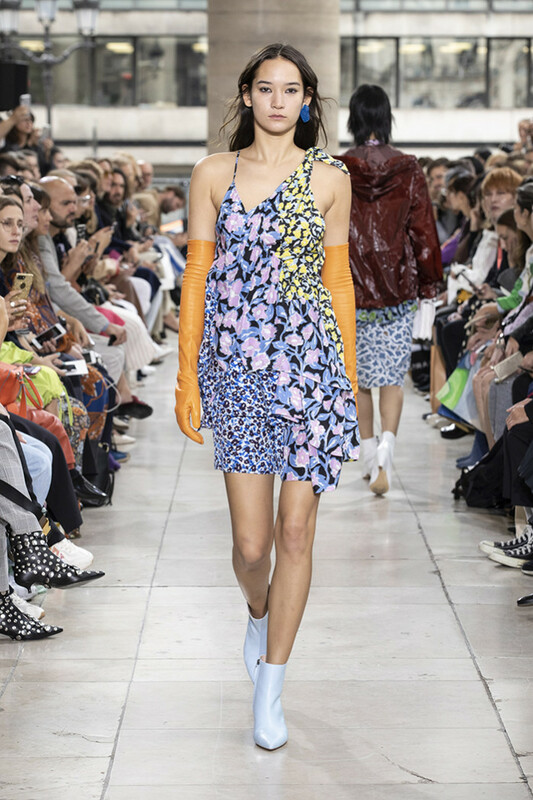 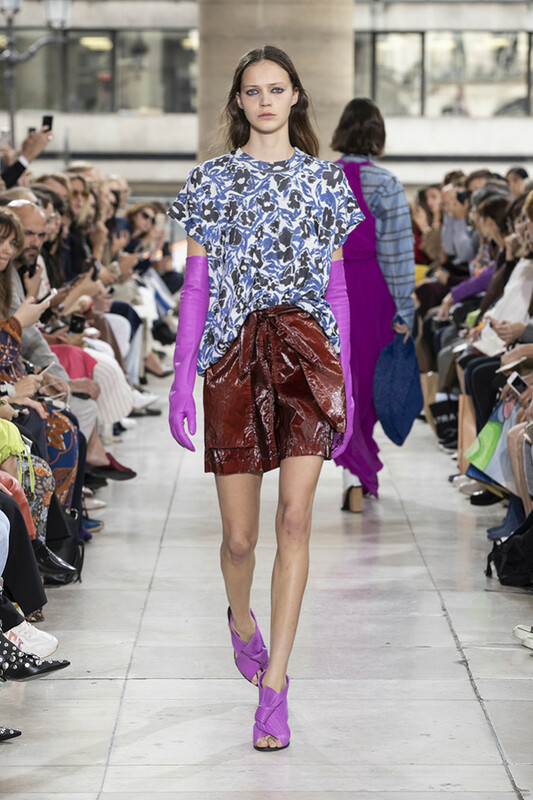 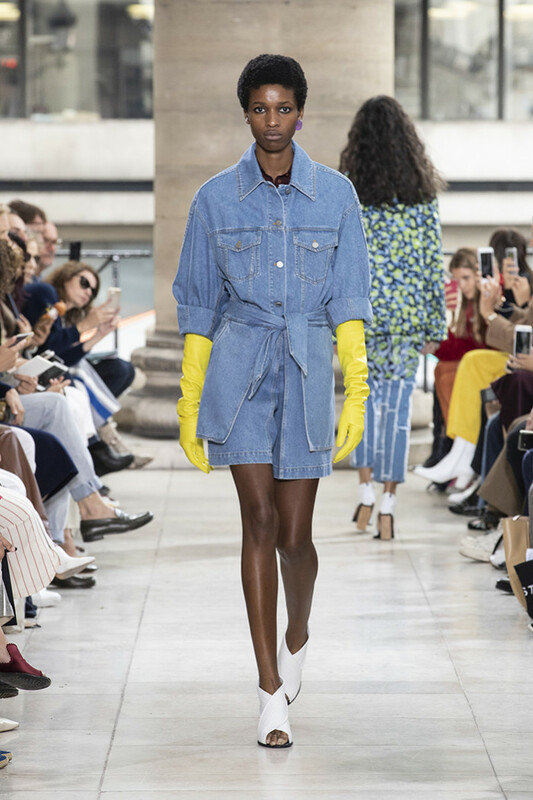 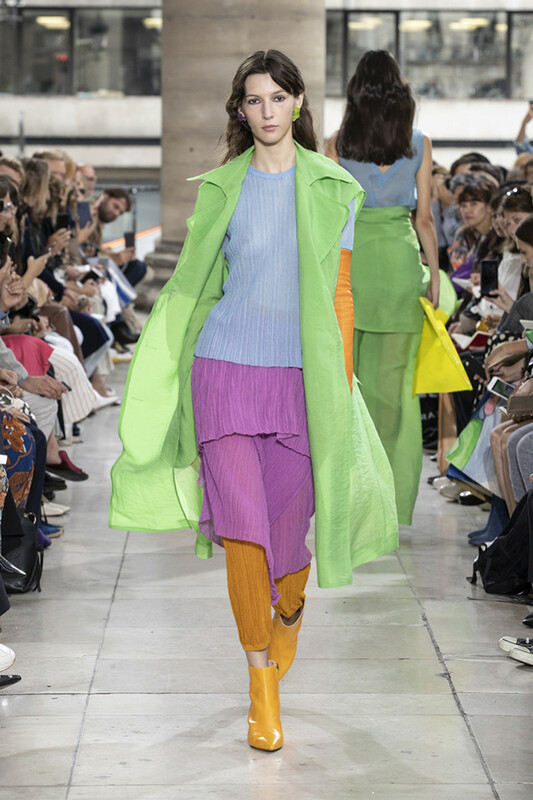 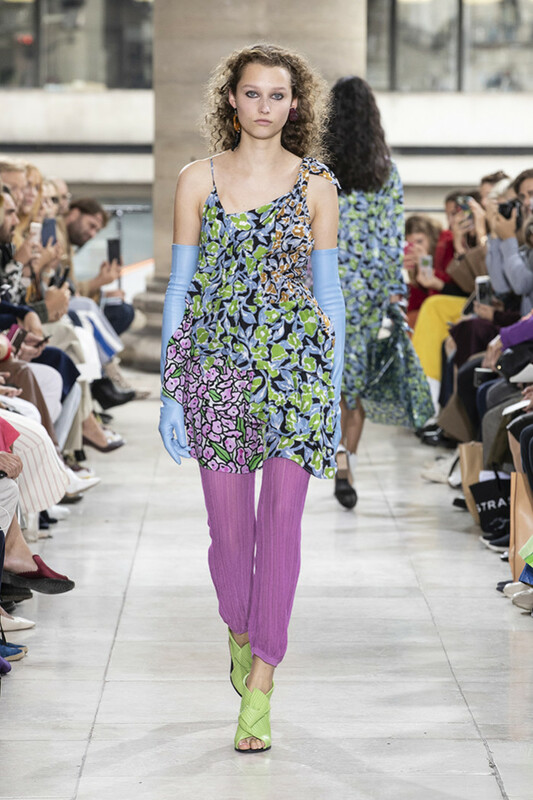 Chiffon, knitted fabrics and lace ankle boots in blue, green and orange were accompanied by long leather gloves that reached to the upper arm. 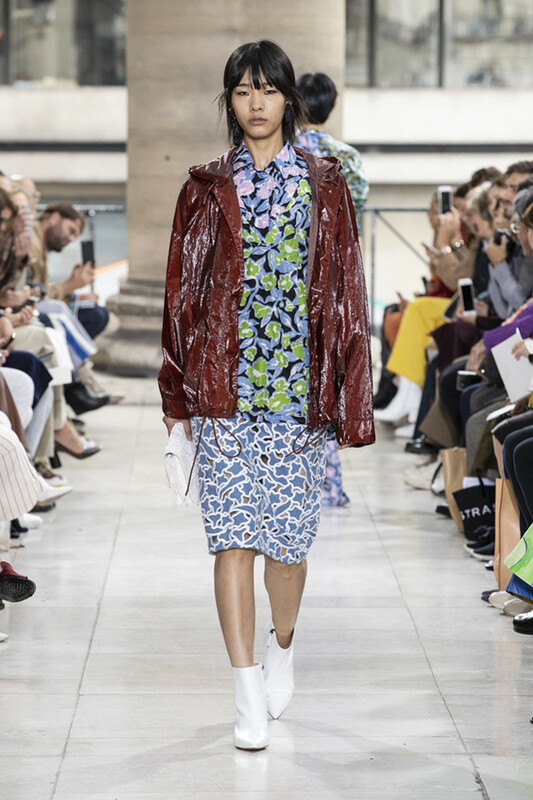 As soon as the Japanese drums disrupted the flute play, creating a bombastic sound behind us, splendid rain jackets appeared. 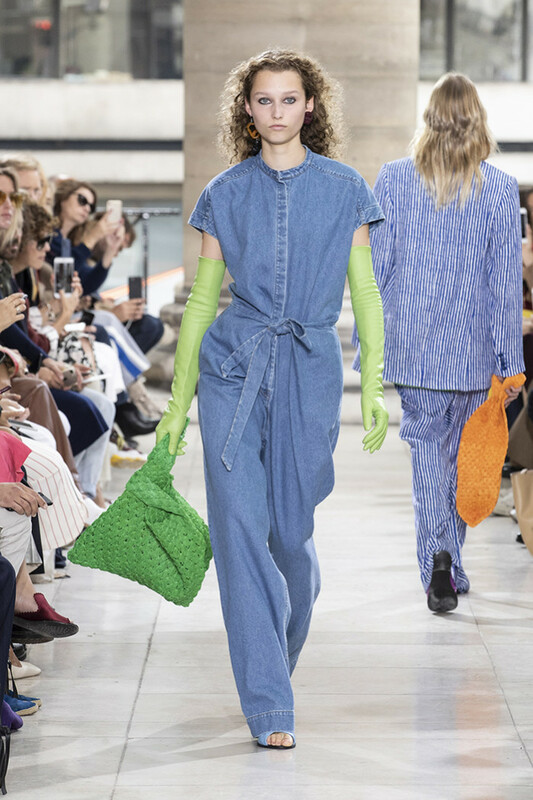 Short sleeved denim jumpsuits with poison green long gloves and light, checkered wrap skirts went over into the flowery, second half. 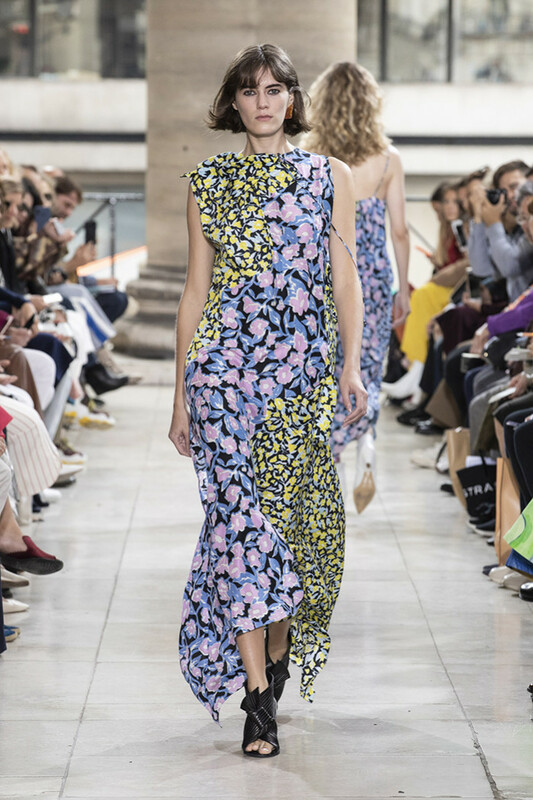 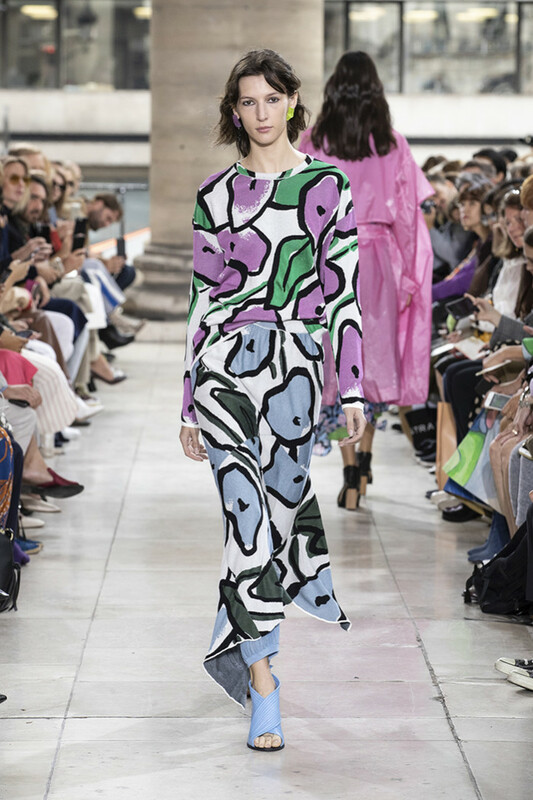 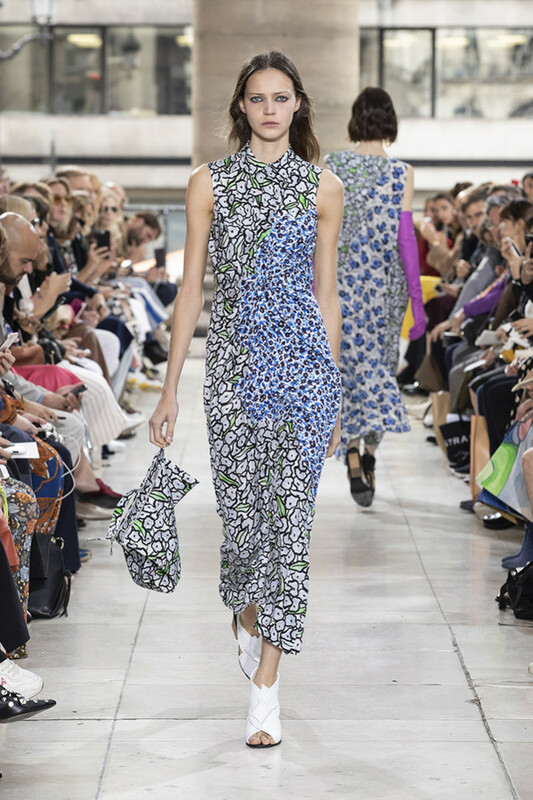 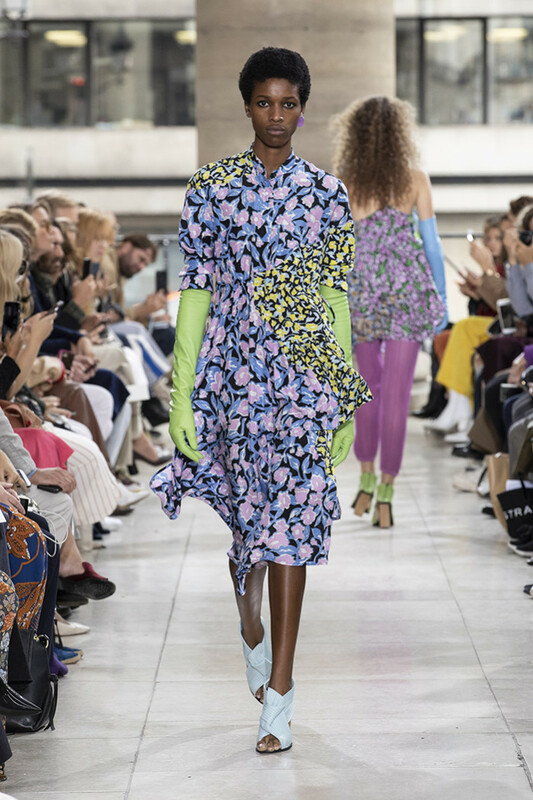 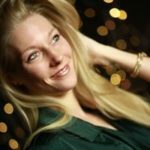 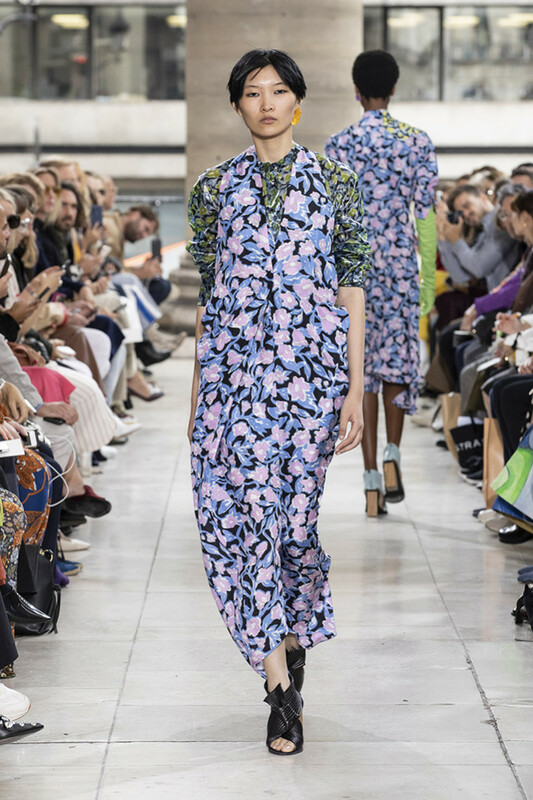 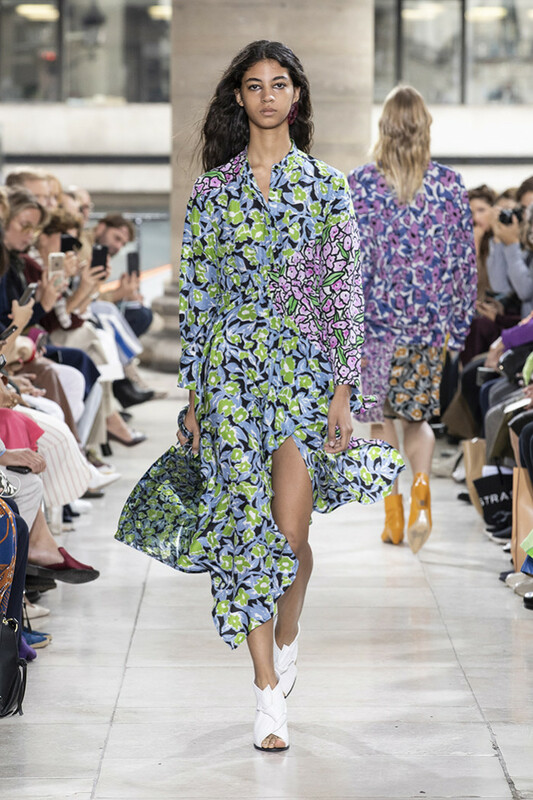 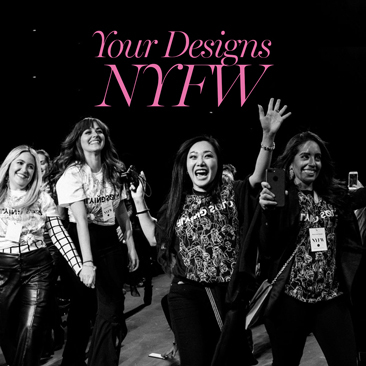 The flower pattern stretched through the long, breezy dresses, which were differently colored per sleeve and part of the dress – as if several fabrics were sewn together to make a whole. 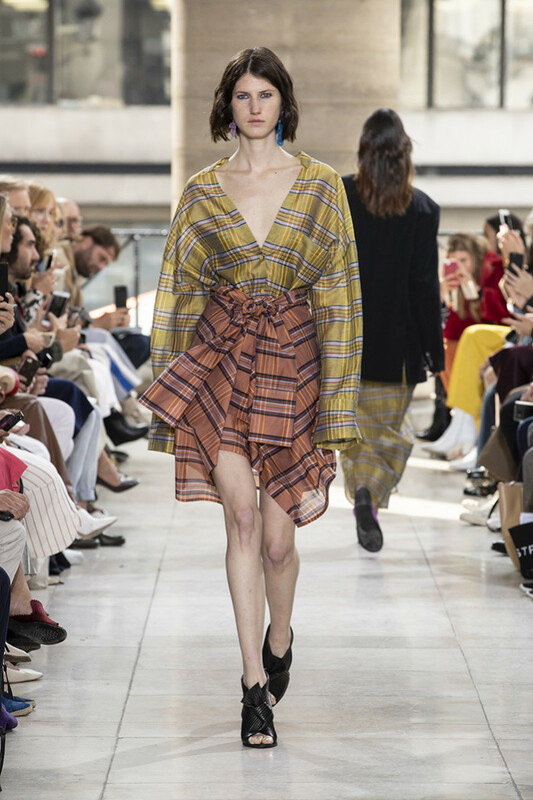 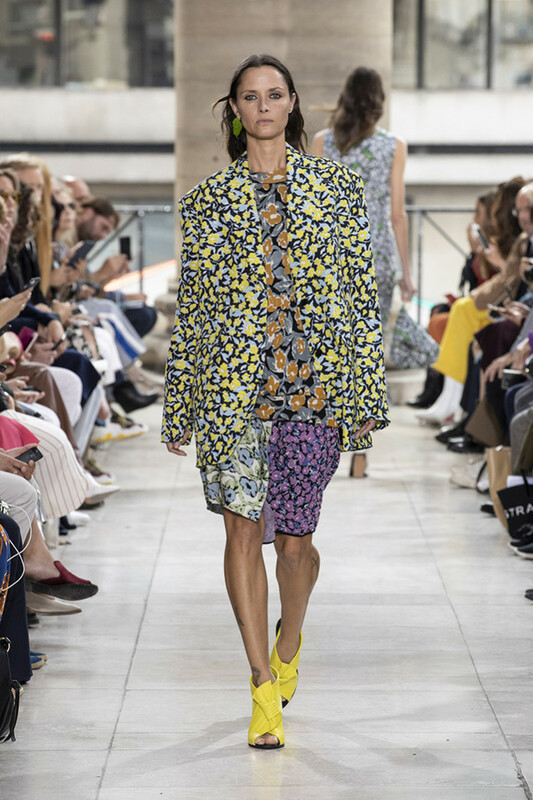 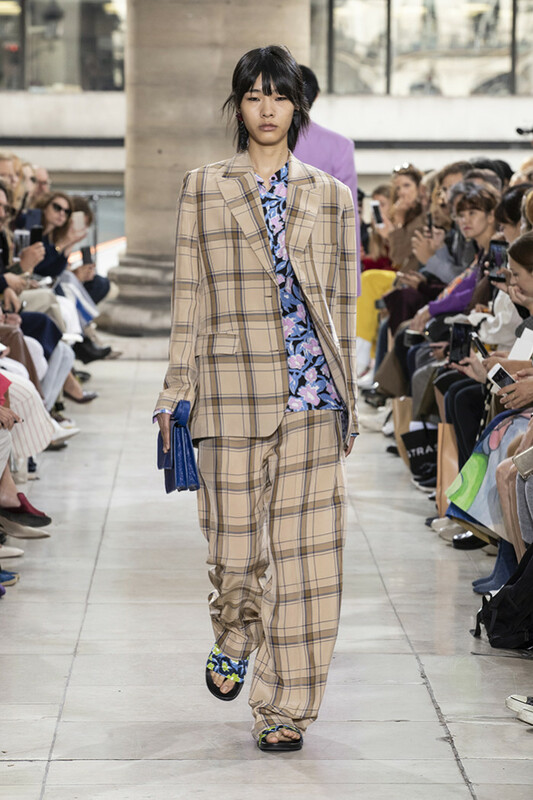 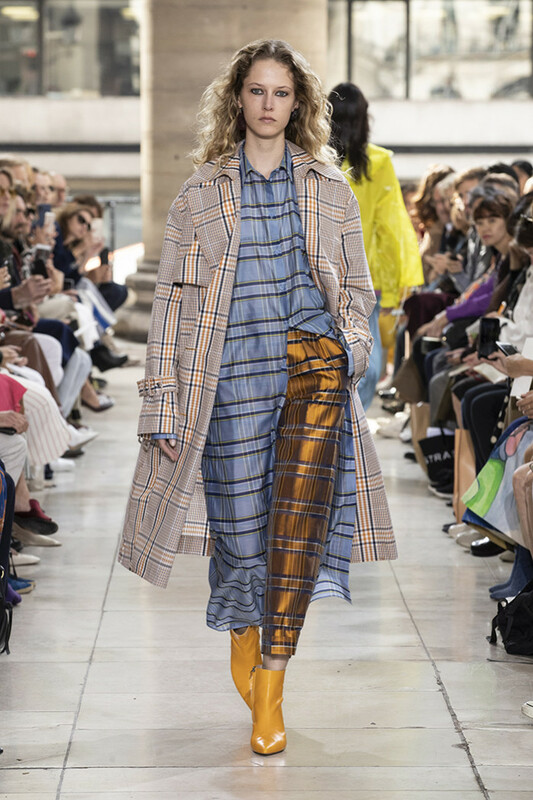 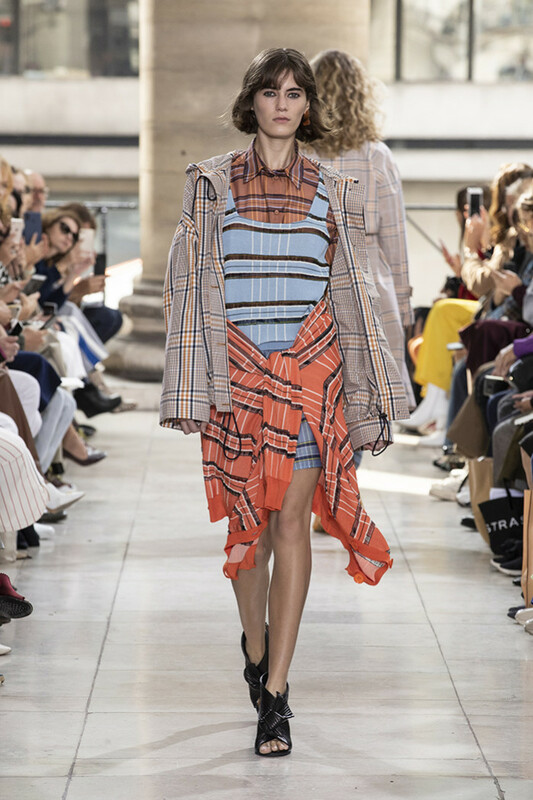 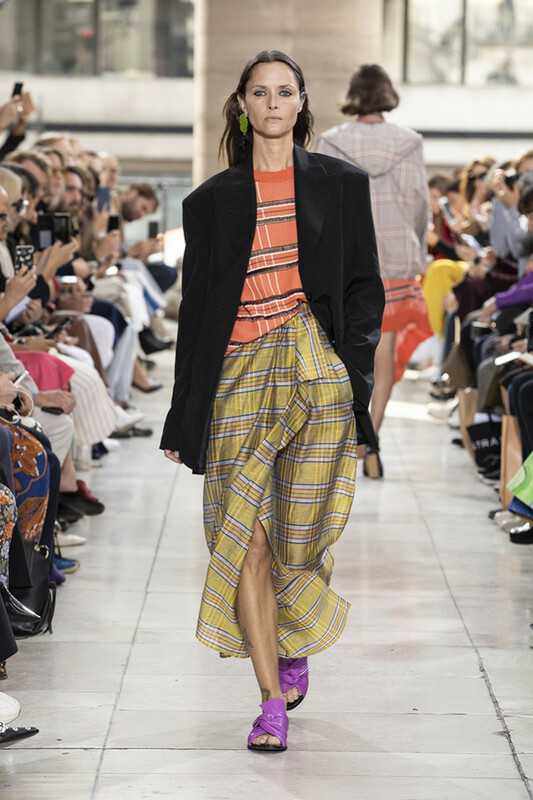 Wijnant’s signature prints like differently sized florals and layered checks on jacquard knits, thin leggings, trench coats and light dresses were absolutely present this season. 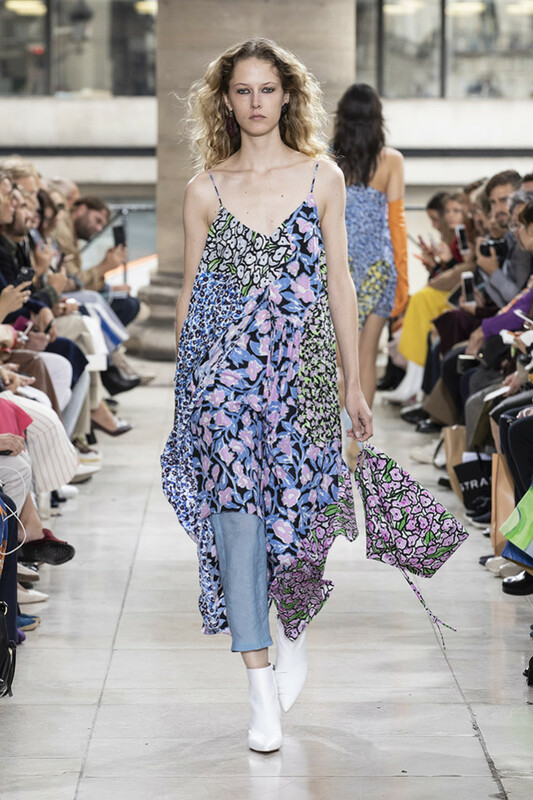 Accompanying romantic earrings and knotted sandals in all colors accessorized every outfit in a natural way. 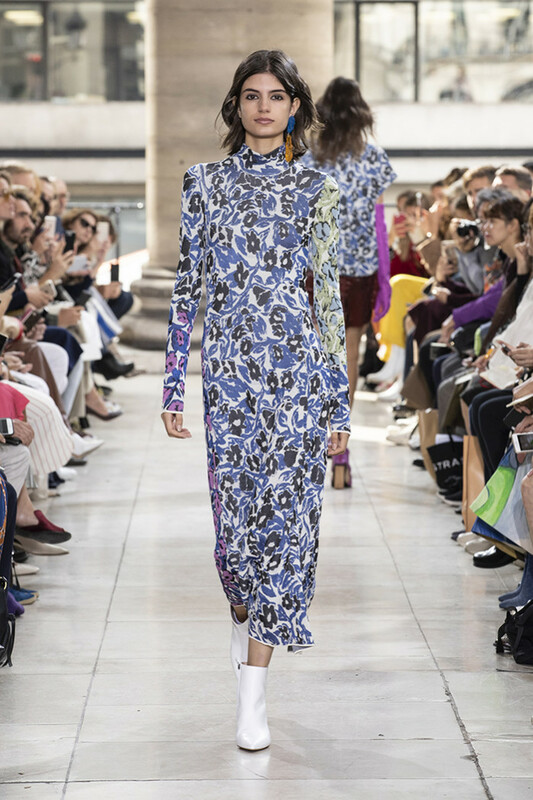 The thoughtful set up and completion of the show made it easy to comprehend the intended journey to a “colourful array of cultures, influences and ideas along the Silk Road”.